A model which has been sought for sometime finally joins the Museum Collection. 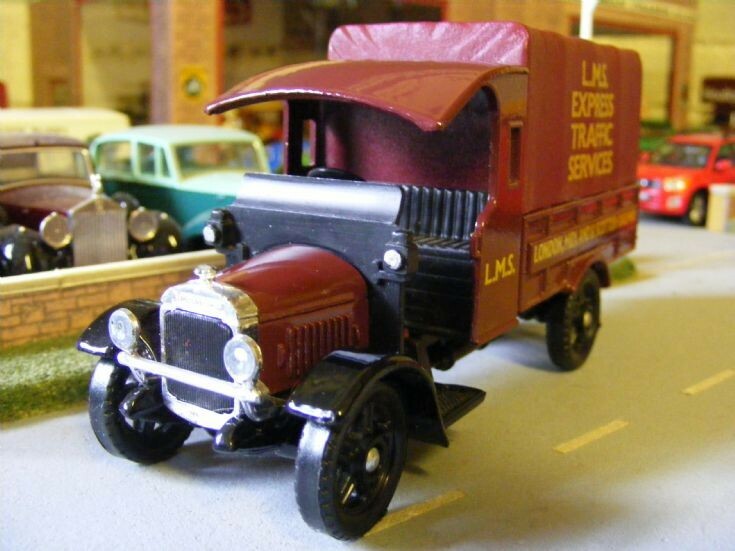 The Limited Edition Corgi Classics 1:43rd scale Thornycroft A1 in the livery of the London, Midland & Scottish Railway. The AEC 508 Cabover van which accompanies this model in the LMS Parcels Two Van Set is already in the Collection, bought loose some time ago.